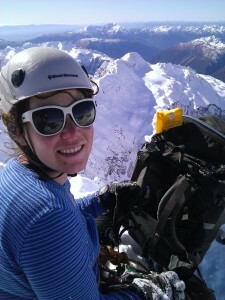 A 5 day mountaineering course based in Arthurs Pass National Park. Our 4-5 day alpine course is tailored to those who wish to further their alpine skills or those who intend on climbing classic alpine routes in New Zealand or overseas. 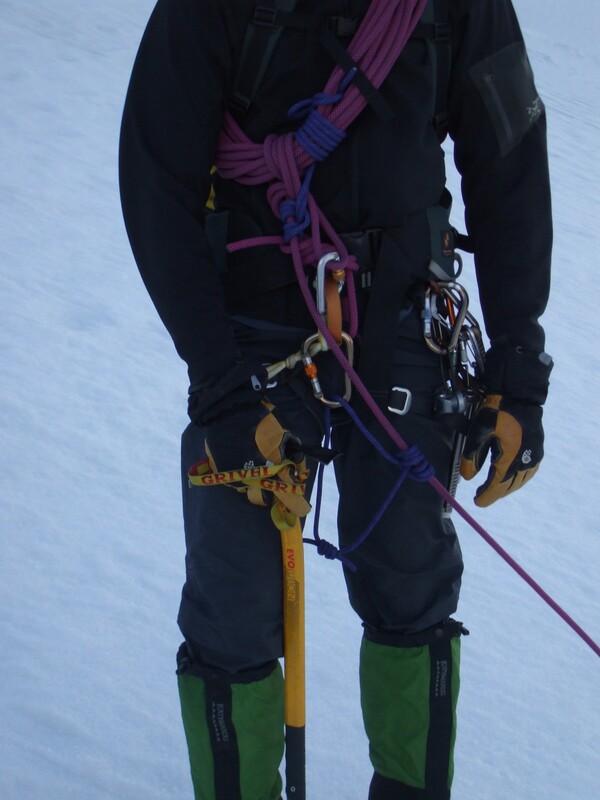 This course is popular with people who have done a few alpine climbing trips with clubs or friends and are now ready to up skill and take on some of New Zealand’s classic alpine routes. Where is this course delivered? This course is based from Temple Basin Ski area in Arthurs Pass National Park (see map). However New Zealand mountain weather can be tricky so as a back up option sometimes we split the course between Temple basin and Broken River Ski area (see map). Having flexibility in course location ensures we get the most of our time on the snow. The course location is confirmed a week before the scheduled course dates. Is this course 4 or 5 days long? It depends on how many people book on this course. We put this 4-5 day course together for two reasons. With just two people you will cover the course content much faster, so 4 days with 2 people is great value for money. With 3 or 4 people on the course it takes a bit longer to cover everything so we’ve decided to add an extra day at no extra cost. The extra day is added to the end of the course, so it will be either 4 or five days from the first day listed on our course calendar. Mountain accommodation in shared bunk rooms at Temple Basin or Broken river ski area’s. Facilities include hot showers, drying rooms, tea and coffee and luggage lifts (from car park to lodge). Fully catered including dinner on the first day and lunch on the last day. You can expect a cooked breakfast, dinner and dessert, all prepared for us by the ski lodge. A small shop and bar is also available to purchase refreshments and snacks. Travelling from out of town? Lots of people travel to attend our courses and we like to make it easy. Transport could be tricky to organise if your flying or coming from out of town. Talk to one of our friendly team about our pick-up/drop off service. When is the the next course? This courses run from monthly from June to November, visit our Course Calendar for course dates and bookings. 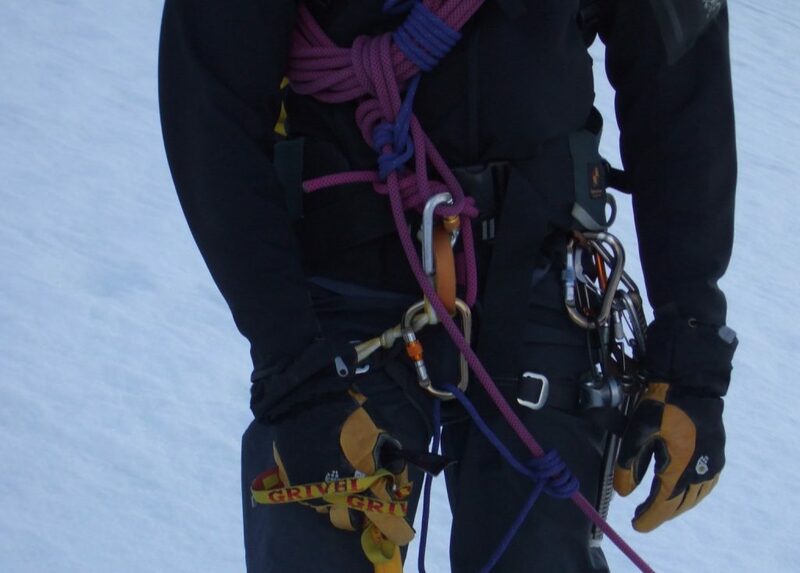 What’s Included in this mountaineering course? High on Mt Rolleston, Arthurs Pass National Park.